filled with flowers, foliages, berries and seasonal goodies, along with a wide variety of green house plants, flowering plants, orchids and so much more. Faux flowers and plants fill the back room of Spriggs along with ceramic containers, glass and pots in an array of sizes and finishes. 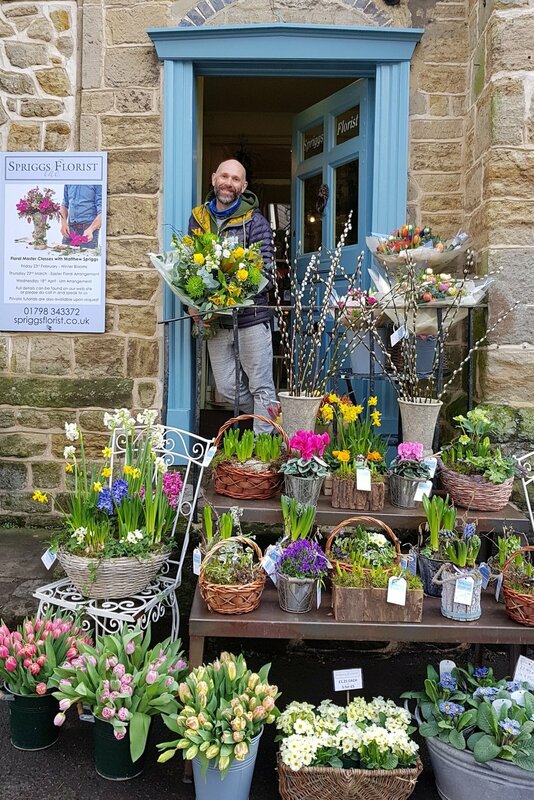 Our main shop, stocked with a variety of fresh flowers and foliages, sourced from both English and Dutch markets, as well as grown locally. Our plants including orchids, house and garden plants as well as larger specimen foliage plants and planters. When in season flowering bulb planters are available. Come in and smell the flowers, create a bouquet for the house or as a gift.